HOUSTON, TX, OCTOBER 17, 2017 – Sentai Filmworks is proud to announce its acquisition of the Japanese animated feature film, The Life of Budori Gusko. 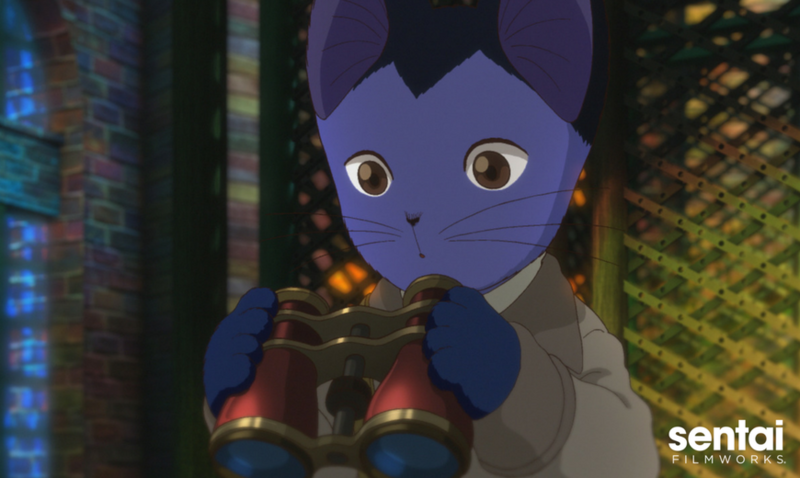 Based on the 1932 fantasy novel by Kenji Miyazawa, the film is a fairy tale that follows an anthromorphic cat named Budori living in the forests of Ihatov. After a series of misfortunes, including the spiriting away of his beloved sister, Budori sets off to build a better life - but a deadly winter is coming, and Budori finds himself the unlikely hero with a plan that can save everyone. The Life of Budori Gusko will soon be available on select digital outlets, with a home video release to follow. Sentai Filmworks is a leading global supplier of anime and official anime merchandise, distributing, and curating one of the industry’s most diverse libraries of top trending and classic titles. Offering thousands of hours of content across both traditional and digital platforms, Sentai is dedicated to bringing captivating stories and iconic characters directly from Japan. With hit series that include Parasyte –the maxim–, No Game, No Life, Food Wars!, Is it Wrong to Try to Pick Up Girls in a Dungeon?, and Akame ga Kill!, Sentai’s catalog continues to grow with new favorites like Himouto! Umaru-chan and Monster Musume: Everyday Life with Monster Girls, as well as classic anime series such as Legend of the Galactic Heroes. For more information, visit www.sentaifilmworks.com.